For professional installations, repairs and maintenance of garage doors in Fredericton, turn to Alden’s Shutters & Doors. 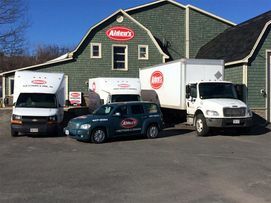 While we are based in Fredericton, we proudly serve the surrounding areas and all of the Province of New Brunswick. We have been in business since 1997 and have worked for many residential, commercial, and industrial properties. 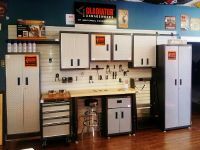 From wall systems to cabinets, flooring to appliances, Gladiator has a solution to match any storage need! Gladiator products not only protect and organize, but they also coordinate to create a uniform look for your garage, basement or mudroom. We offer cabinets, appliances, wall systems and accessories, work surfaces, tool storage, flooring tile and more! Protect your business with a C.H.I.® Fire Door! 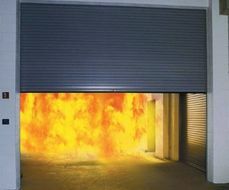 These strong, fire-rated doors allow for safe exiting in the event of a fire, and they prevent fire from spreading to different areas of your building and protect your property and employees from smoke. Contact us for your quote today!